The latest short film is now available on Amazon for viewing. Bit of fun and won't break the bank. 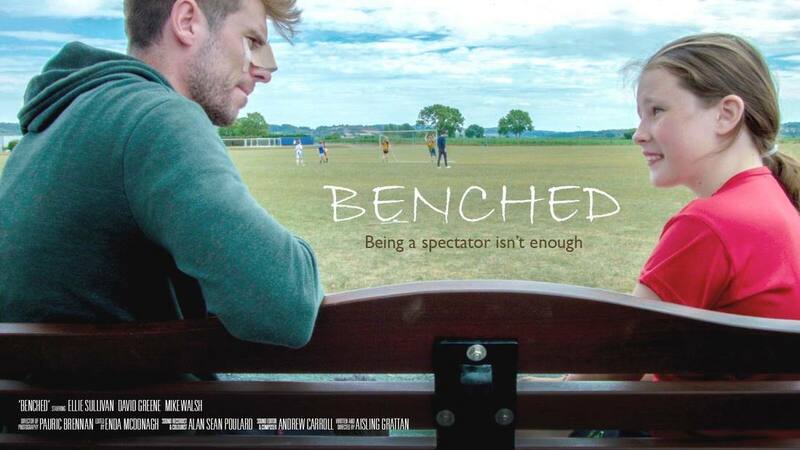 Benched a short film I was recently DOP on. Written and Directed by Aisling Grattan. We had a great cast and crew on the shoot and the best weather possible. A short promo I recently created for Orla Kelly Design. Orla takes a walk through a house she did the interior for and talks about her decisions. Very excited to say I've teamed up with a great writer, Mark Hampton, to write a second installment to The Rosen Bridge. More news soon. Starting in February I'll be relaunching an old series I used to produce called The Write Stuff. I'll have episodes going out every two weeks. the series meets writers of all forms and talks a little about how they write and a little about this and that too. We have a great line up including Ferdia MacAnna- Author and Screenwriter; Caroline E Farrell- Author; Simon Lewis- Poet; Jamie McDonald- Singer/Songwriter and many other great voices. I'll announce the launch date here soon. I've been shooting plenty of video lately for the good people at Dooley Motors. We did a four part mini doc before Christmas with their KIA ambassador Tom Daly. Here's part one, the others can be found on their Facebook page. A recent project for Dooley Motors in Carlow, Ireland. They just launched a Kia franchise and I made this advert for them. ​Many thanks to Dooley's for the opportunity. Jack English, and Rugby international, Sean O'Brien for their time and to Tommy and everyone at The Reelists Production company for their time and efforts. Dooley Motors The Home of Kia in Carlow from 50LB Films on Vimeo. 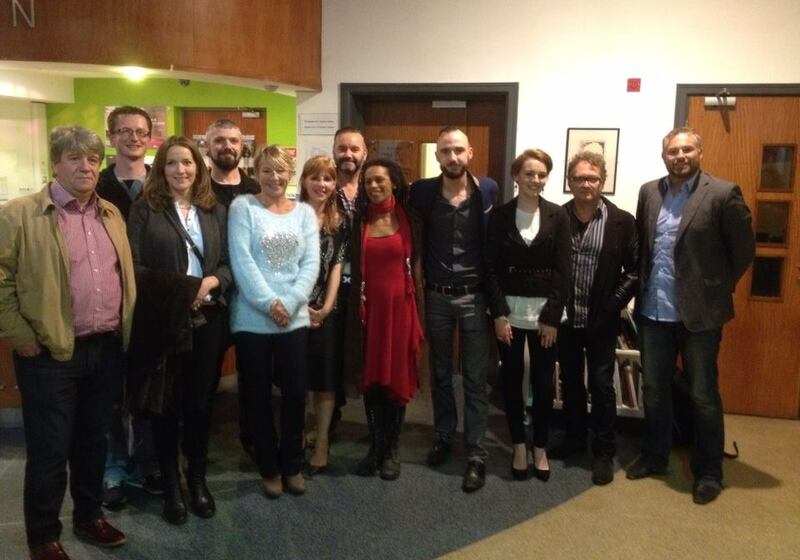 The 1st Carlow International Film Festival aims to showcase the best in international films from all over the world. 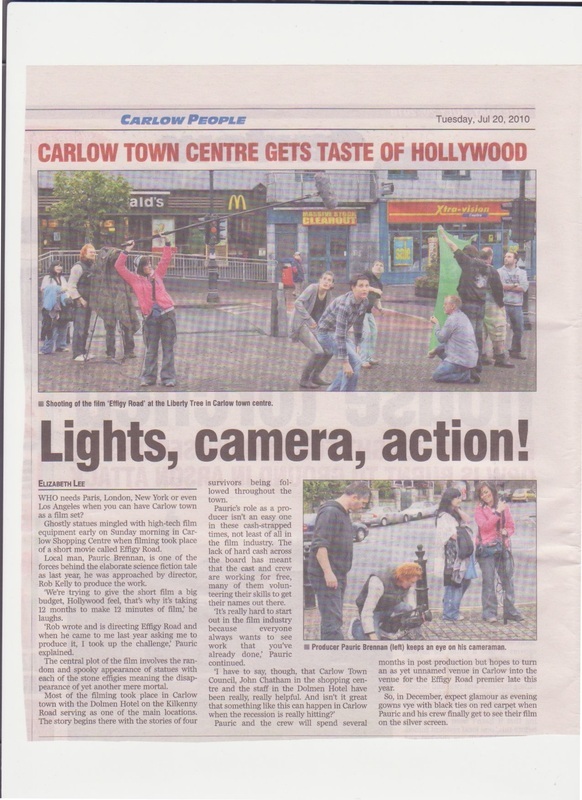 The film festival’s best movies will be shown in locations in Carlow, Ireland. The Carlow International Film Festival will celebrate the very best in Short Films, Features, Music Video and Animation in all genres - Sci-fi, Horror, Comedy, Romance, Action, Thriller and etc. The judging criteria will take into account elements such as quality of story line, creativity, production quality, acting, soundtrack, and editing. The films with the highest scores become an official entry for 2017. Films with good audio and strong stories have the greatest chance of being selected. I've been working on a series of online videos for a local car dealership, Dooley Motors, in Carlow, one of which is an online advert involving Sean O'Brien, Irish Rugby international, and Jack English, a talented Parkour, Free runner, for the launch of their new KIA franchise. I have been working on the shoot for the last two months and was delighted that we got the go ahead last week. We shot the advert around various locations in Carlow town and it was a really fun shoot. The advert will be launched towards the end of November so stay tuned here for the release. Strange things happen when you do anything for that hair do. 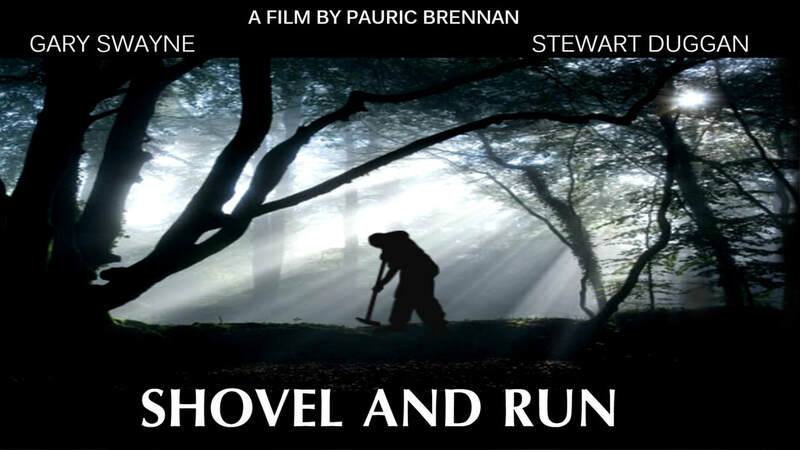 Strange little short I wrote and directed a while back starring Claire Blennerhassett and Margaret Rowe. Great fun to shoot. I've been developing new projects with the lovely Emma Owen of Baby Jane Productions, Galway and Dave Brown of Hidden Tigers Productions in Scotland recently, while trying to keep on top of my own projects, including the evolving 33. It's been great to be given projects that are not of my own creation to develop with producers and Directors. I'm looking forward to working on more projects with these two great companies in the future. My play 33 is part of the Smock Alley Theatre Scene + Heard this year. It will have its debut on Sat. 20 & Sun. 21 Feb.
33: This Dublin Crime Family has one final score to settle before riding off into the sunset, But can they trust each other and make it out alive? “33” is a Crime Drama which explores Trust, Betrayal and Strength of Family Bonds. 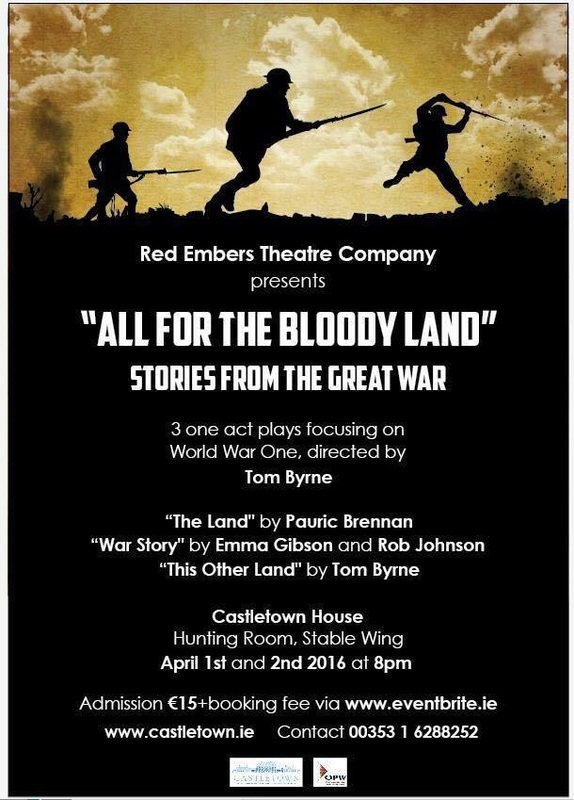 One of my plays, The Land, will be in a show called, All For The Bloody Land, presented by Red Embers Theatre Company in Castletown House. All the info is on the attached poster. Looking forward to shooting my new short this weekend. Great cast with Claire Blennerhassett and Margaret Rowe. Should be good fun. Sweet Hairdo coming soon. 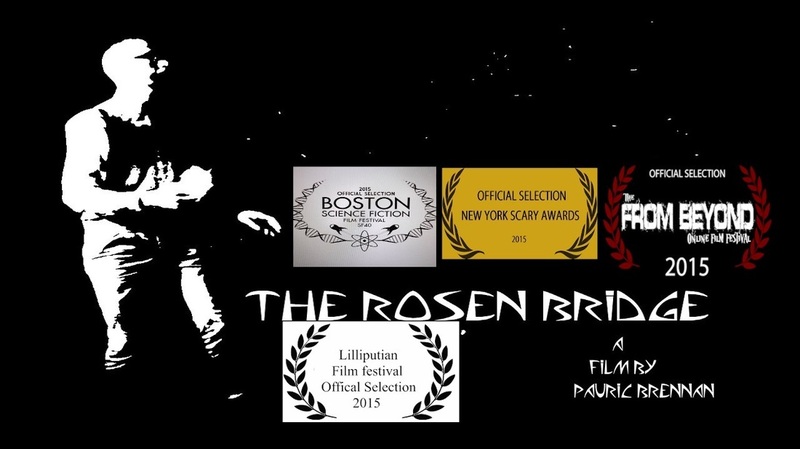 Delighted to have The Rosen Bridge be part of the 2015 Lilliputian Film Festival in Saint Louis Missouri, this Sunday. 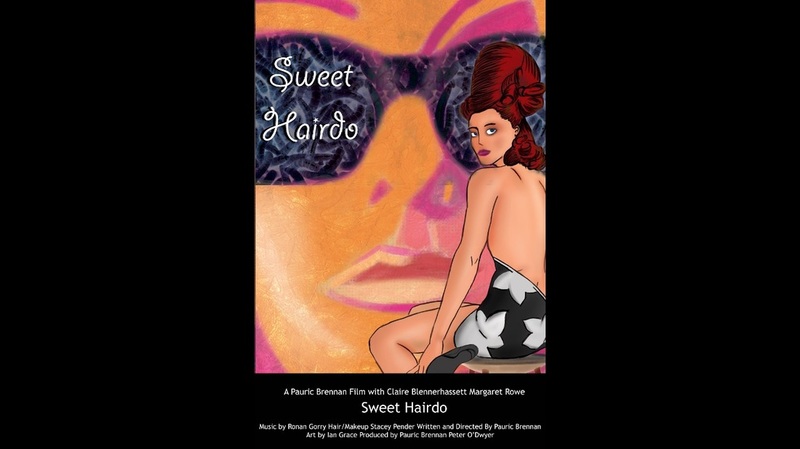 New Short film, Sweet Hairdo, coming in October, starring Claire Blennerhassett and Margaret Rowe. A new reel for some of my work to date. here. The festival runs October 8-11. Well done to the cast and crew. 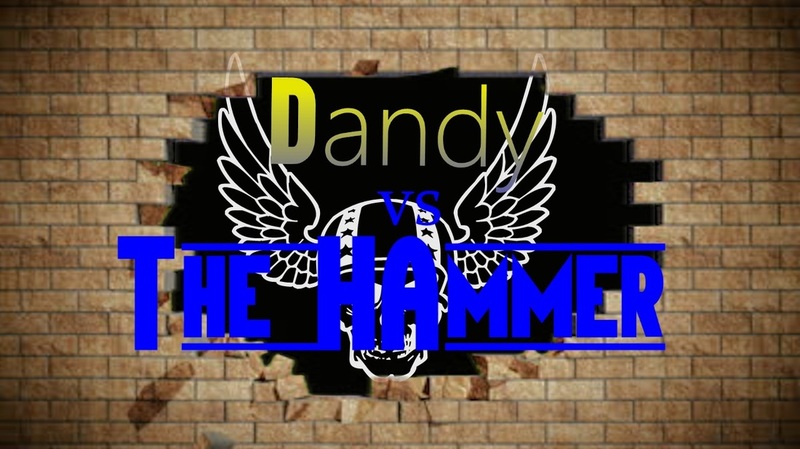 Delighted to be working with Colin Walsh and Gary Swayne again on a new short called 'Dandy VS The Hammer'. Harold 'The Dandy' Kettlebottom is forced back into the ring for one last title shot against The Hammer. Win and he's crowned World Champion. Lose and he'll be forever known as a has-been. We'll be shooting the short in early September and hope to have it out to festivals by October. The Rosen Bridge was selected for the From Beyond Online Film Festival happening in September. 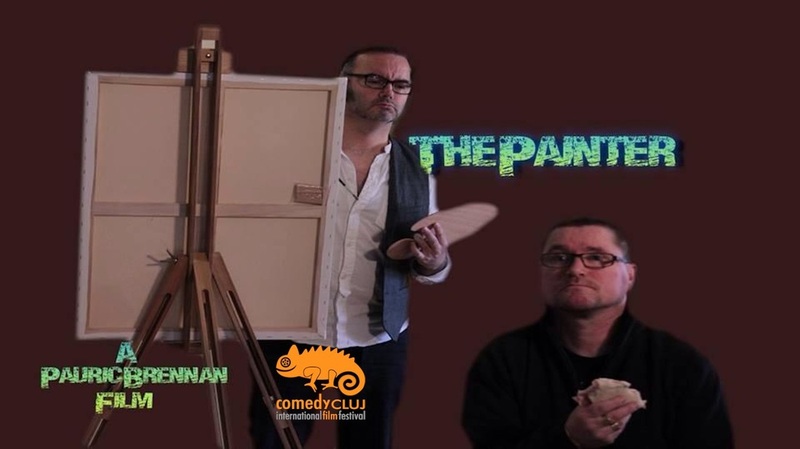 The Painter, has been selected into the official line-up for this year's 7th Comedy Cluj International Film Festival . The festival will be held between 16 and 25th of October in Cluj-Napoca, Romania, the historical region of Transylvania. Well done to the cast and crew. I've added a new page to the website, it can be found under Films. You can now view my short films, The Rosen Bridge, The Painters, The Duel and Masterpiece. More shorts to come over the next few months. Rogue Cinema reviewed the Rosen Bridge short that we made late last year. Have a read of the review by Matthew Robinson here. Myself, along with some very talented people from the All About Eva movie have been nominated for The Cine Talent Award at this years Jameson Dublin Film Festival. Looking forward to attending the function next Saturday 28/03 in Dublin. should be fun. March 14 saw us shoot a new promo for a new horror feature, provisionally called Klown, that we are gearing up to make later this year. We had a great cast and crew working on the promo, with additional support from MeDell Craft from Laois. Thanks to the team for helping us on the promo. Klown follows a group of old college friends as they get together for a reunion camping trip in the wilds of Ireland. Along the way they discover an old mansion. As they explore the building Red finds a doll and decides it would look great in her art work. Little does she know that when she takes the doll that all Hell is about to follow them on their trip. On March 25 I'll be taking part in a night of poetry, prose and theater at the Carlow Visual Arts Center. The Carlow Writers' Co-op will entertain with a night of provoking and engaging readings. I will be debuting two short plays , The Painter and King of Shadows on the night. 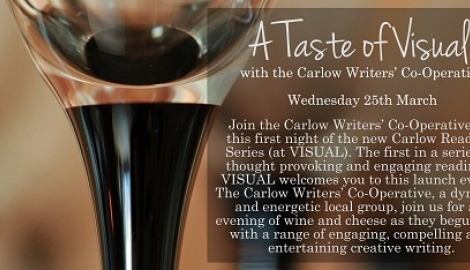 So why not drop along and enjoy some wine and cheese while listening to the words of the Carlow Writers' Co-op. About this time last year I was coming to the end of an adventure with a great bunch of people. It had started the year before when Kildare County Council invited local writers together for an idea that would be the genesis of a low budget noir thriller. I was delighted to be asked to be part of the small writers room and so the adventure began. We sat down over several months and beat out the story for what would become All About Eva. At the helm was the Father of Rock n Roll, Ferdia MacAnna, writer and Director. We had our story and we shot it in 8 days under the watchful eye of our Producer Lucina Russel. I'm delighted to say that Eva will make her stunning debut at the Jameson Dublin International Film Festival on March 25. Big shout out to the cast and crew of All About Eva. More info on the screening here. The Rosen Bridge got its first review from the guys over at indyred.com Have a read of the review here. A very old, he's not really that old, and good friend of mine has ventured into a new business, and I'd love for you guys and gals to lend some support. He's a bit bonkers about cars, especially classic ones. Here's a bit about his new site. Drop by and you might find something to read or a nice car! The Rosen Bridge short film is currently at The New York Scary Film Awards and we need votes, lots and lots of votes. Its a very simple process that takes a few seconds and if you all could take those few seconds and vote for the film, we'd be mightily grateful to you all. 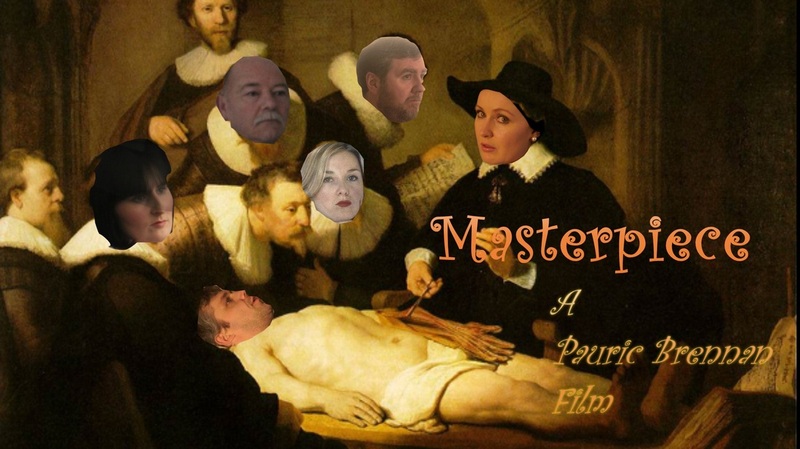 Back in 2012 I made a short film called Masterpiece, see it here, at the time I submitted it to a few festivals and a few online review blogs. Rogue cinema gave it a thumbs up at the time. During the week I was submitting The Rosen Bridge for review when I came upon THIS. It was nice to come across it. Hope they like The Rosen Bridge. Finished a little short today with 50LB Films. I wrote this two weeks ago and Peter got it into production very quickly. 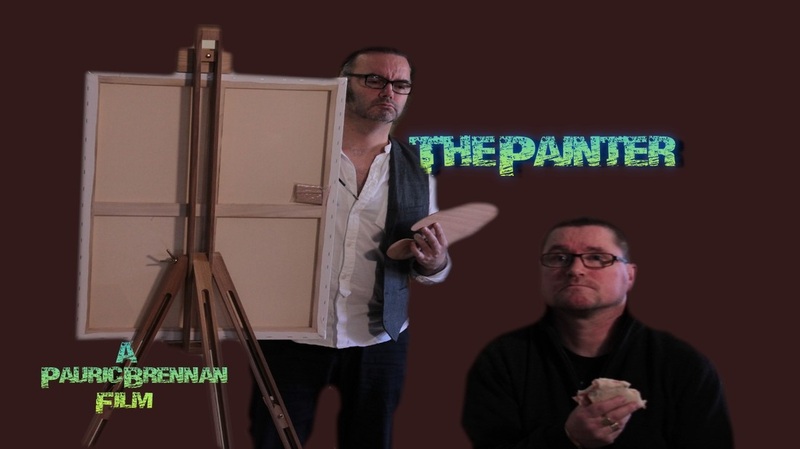 Colin Walsh and Gary Swayne played the parts of The Painter. Special thanks to Peter at Complete Consultancy Services, Michelle deForge and Dunamaise Arts and to the Pantry, Portlaoise, for their support. We will have it out to festivals in the next few weeks, so as always, stay tuned for updates on this and my other films. 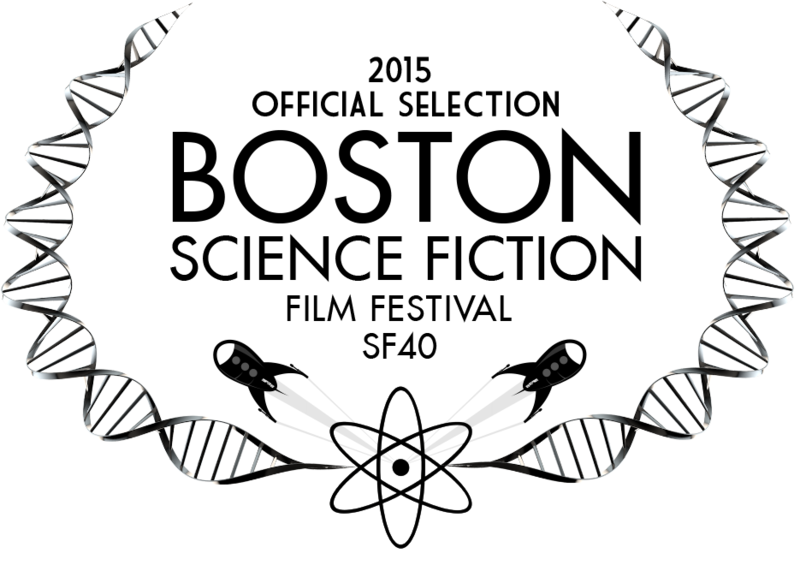 The Rosen Bridge hits Boston next month for a screening at the Boston Science Fiction Film Festival. from Feb 06-15. 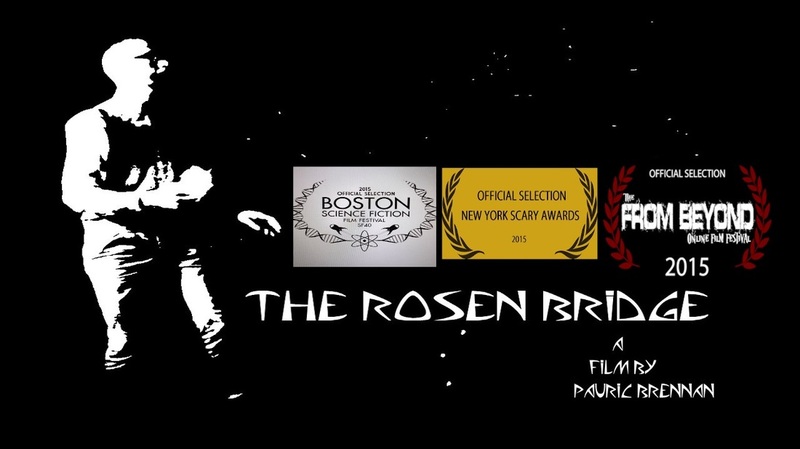 The Rosen Bridge will have its first festival screening at The New York Scary Film Awards. Well done to the cast and crew. I was approached late last year,2014,by a Producer to adapt a kids book for him. The book, The Whispering Tree by Cornelius Gunning, arrived shortly after at a meeting with the author Conn.I read the book and was delighted to a find an array of characters that I could write and have fun with. The story follows a young girl, Katie, as she runs away from home and is spirited away to an Underworld that has been attacked by a deadly creature from the depths of the earth. Guided by The Whispering Tree, Katie sets out on a quest to save the Underworld and earth from the creature. Aided by three wonderful characters from Conn's imagination, Maweed, Daweed and Rooty, Katie takes on the challenge of saving the underworld and making sense of the world around her. 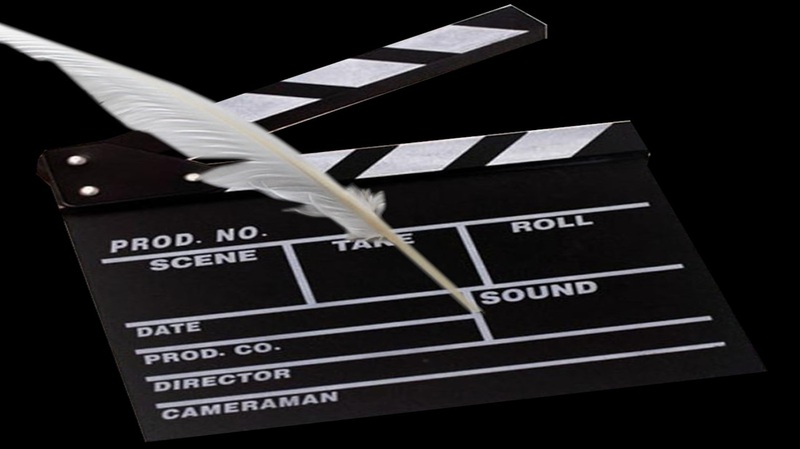 We are currently in the early stages of adapting the book, namely I'm writing the treatment for the film script and we hope to start developing the script soon. Ken, the producer, and Conn, are both working on securing the finance needed for the project. I'll keep you all up to date as we make progress with the Whispering Tree. 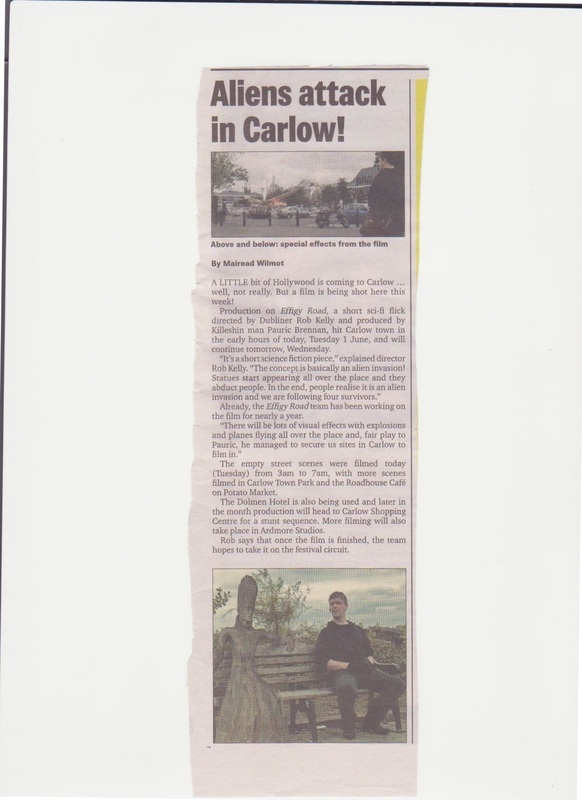 A writers group that I am part of, The Carlow Writers' Co-operative, recently presented writing in response to the Irish poem, Buile Suibhne, in the Visual, Carlow. Watch the readings below. I read around 31 minutes into the performance. The Rosen Bridge will get a screening this Friday, December 12 in Carlow Central Library on Tullow St. at 7pm. This will be the only screening for now as the film has been sent out to festivals world wide. I'll update here of all festival screenings as they come up. 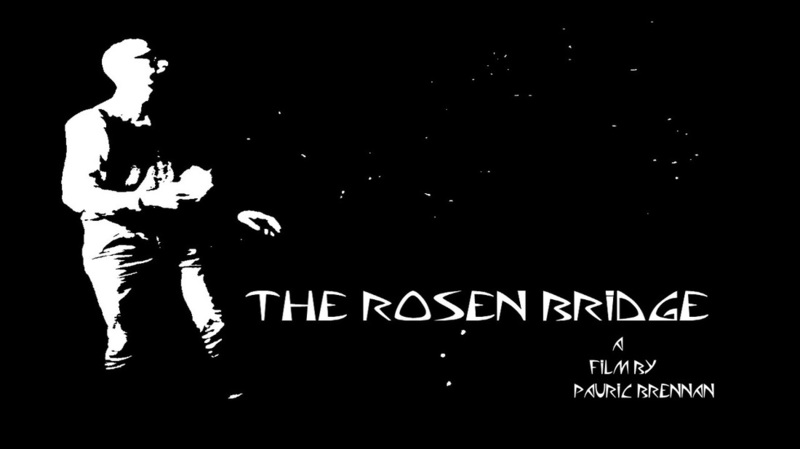 My short film, The Rosen Bridge is now completed and we are currently preparing festival packs for the film. Any screenings will be announced here, so stay tuned! 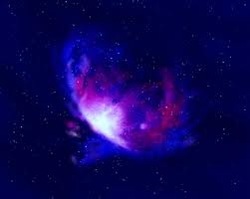 Picture taken after last nights chat with Tracy Piggot. Tracy will be joined by writers Richard Kearney, Mary Duffin and myself; actors Susan Walsh, Liam Quinlivan and Jill Bradbury, editor Philip Lewis; Executive Producer David Keating and Producer Lucina Russell. This event is part of the rather fabulous Kildare Readers Festival. See http://kildare.ie/library/readersfestival/ for the full programme. All events are free of charge and all are welcome. The Rosen Bridge shoot is finished and we are in the middle of post production. You can check out the teaser trailer. The Rosen Bridge goes into production this Friday, 19 September, really looking forward to working with the cast and crew. I'll be uploading photos over the weekend of the shoot and hopefully posting some updates too of how things are going. We were delighted to have Kildare County Council's arts officer, Lucina Russel, give the production a boost with much needed financial help. Massive shout out to her. And a big shout out to our producer Laura who is playing a blinder and delivering everything I'm demanding, thanks Laura. The Rosen Bridge is now fully cast and we are delighted that we have such a talented group working on it. Francine Keogh, our lead, is played by Claire Blennerhassett. Supporting Claire is Gary Swayne as Davidson, her detective partner, along with Rob Mullins and Niall Moore. Shooting of the short will start in September and we hope to have it on the festival circuit by December. As with all my work just check back here for up dates. I came across these this morning from a few years back. I produced a short film called Effigy Road by Rob Kelly. We shot it around Carlow and in Ardmore Studios in Bray, Wicklow. The Rosen Bridge has been taken on by Pender Media and they are currently in the process of casting and location scouting. The story follows Francine the morning after several farmers report sightings of a UFO. The local UFO expert is the only one who has not contacted the local police about sightings. When Francine and Davidson call at Jay's house the find it open but Jay is nowhere to be seen. Francine sets out to discover the truth behind the UFO sightings. Again follow the projects progress here. For the last few months now I've been working on two new feature film scripts, Killer Slugs, first look art above, and a deadly virus film based around a character I created a few years ago called Joe Hunter. Killer Slugs© is a b movie monster picture. When Bracken Myers leaves his daughter Holly off to school, little does he know that his day is about to become a fight for survival and a race to save Holly for an invasion of giant killer slugs. Bracken Myers is developing a new pesticide for killing Slugs. During his research he developed a rapid growth hormone know as GH4, which his boss sold to an old army friend. Bracken is a down to earth guy and only wants to spend time with his daughter, Holly, who has dreams of meeting a band called The Blood Dolls, who are signing their new album at a local store. While here she decides its time for her and her boy friend to become more and they head away to a local youth hang out in a near by forest. Bracken is looking for a flower in the forest, when he comes face to face with a giant slug. Escaping the Slug he decides it time to collect Holly from school. His co-worker Trish joins Bracken after they kill the slug in the woods. When they arrive at the school Holly is gone and Bracken is told she's at the Blood Dolls signing. Bracken and Trish head to the signing and find Claire, Holly's friend, making out with a member of the band. She tells Bracken where Holly is. As Bracken gets ready to leave, the Blood Doll member is killed, along with Claire. Trish and Bracken flee from the Slugs and together they set out on an adventure to rescue Holly and destroy the invading Slugs. The script has got a few good reviews, with the most recent from John Alberts over on the Amazon Studios site. Here's some of John's review. 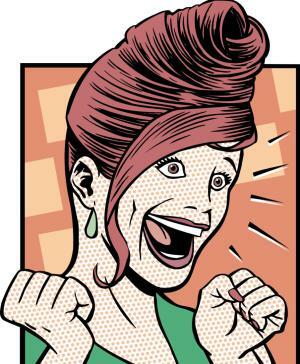 Killer Slugs is such a fun title, I had to read your script and I’m glad I did! It’s a great script, great writing and a great idea at the center. We are introduced to Bracken, a scientist and his daughter Holly as they try to fight an outbreak of killer slugs. The writing is very good, it flows nicely, crisp descriptions and nice pace. The scenes are intelligent, make sense and keep you guessing what’s going to happen next. The characters feel real and believable as we follow Bracken as he and Trish fight the slugs and try to get Holly back safe and sound. I'll be sending it out to some competitions and to the industry in general so if you're a B-movie fan, keep checking back for progress with this script. 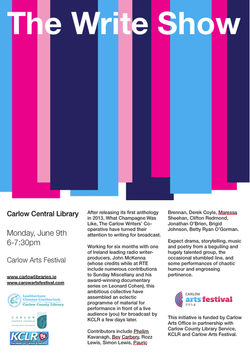 On the 9June I'll be recording a small programme with a group of fellow writers from the Carlow Writers Co-op. This show will be broadcast on KCLR, The Write Show, during the local Arts Festival in Carlow. It will be craic and a great way for you to meet myself and other writers from Carlow and a chance to be involved in a live radio recording. So All About Eva is now wrapped and in post production. 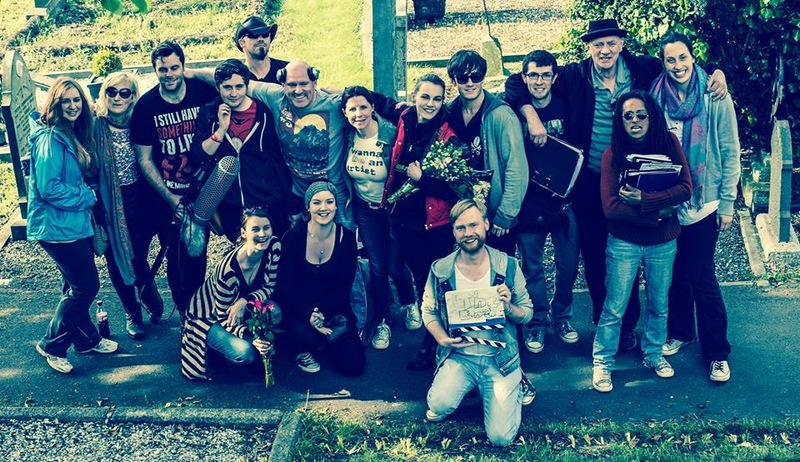 The shoot was mighty craic and we had a great cast and crew, pictured above, working on set over the 10days. Stay tuned here for updates on the progress of the film and for launch dates and viewings. 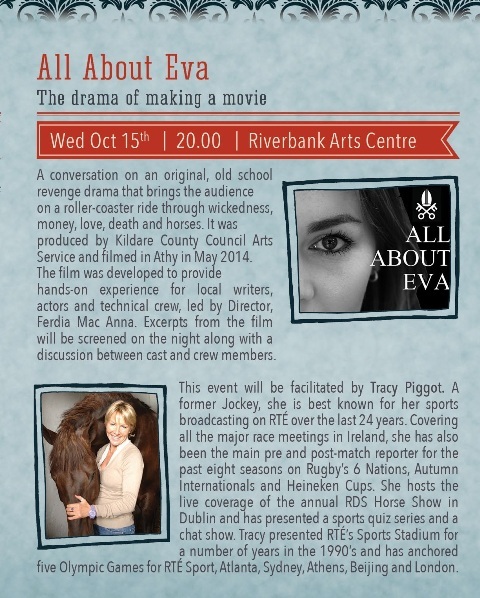 I'm currently involved with Kildare County Council Arts Office on their new feature, All About Eva. As part of the writing team, I have been working with Ferdia MacAnna for the last few months developing the feature based around the horse racing industry. 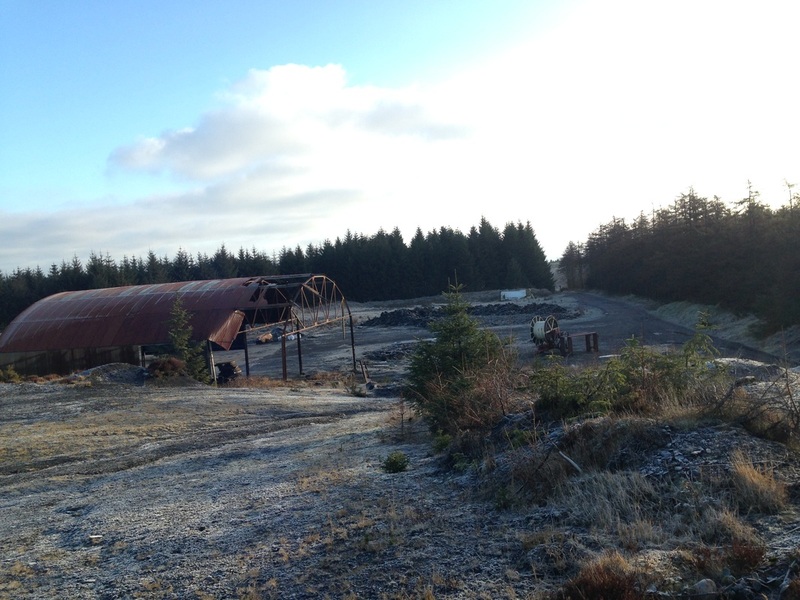 The feature is due to go into production in May 2014 with Ferdia directing. Over the course of the development of the Feature we've worked with David Keating and Tim Palmer. On the 23rd of August, I'll be in Carlow library for Castle Adventures, as part of the Carlow 800 festival. We'll talk about how to use the past in your stories and we'll look at a short film with castles and sword fighting. It'll be fun and games for all. Carlow Central library Tullow Street, Carlow.